The film begins with heartfelt scenes of Josef optimistically narrating fun activities that he would like his son to experience once he is gone. These scenes are also accompanied by innocent jump scares. In one, Josef simulates attempting to commit suicide in a bathtub. In another, he dons a horrifying wolf mask named Peachfuzz and sings a song. In a third, he runs into the woods and jumps out at Aaron in order to show him what it feels like to fear for one’s own life. What is good about these scares is that they are not useless, but they allude, albeit opaquely, to the dangerous turn that the film is about to take. The moment where the film turns from weird to worse occurs in a beautiful shot: Josef standing atop a flight of stairs looking down on Aaron, his figure engulfed in shadow from the light behind him as he asks Aaron to come in for a single drink. There is an ominous creepiness to the shot and Josef’s words as he tries to lure Aaron inside with his friendly charm. Creep begins with a strange mood reminiscent of mumblecore–a genre often attributed to the Duplass brothers. The characters talk about moments of shame. Josef grapples with–among other psychological issues–his own mortality in a dialogue-heavy way. The movie is like mumblecore’s terrifying cousin. Duplass plays a character similar to his norm: charming and charismatic, rambling on about things in a manic way. However, from the get-go it is obvious that something is off. Weird mannerisms and morbid dialogue mark Josef as a troubled man. He plays the eponymous creep well. It is one of those rare moments where the villain in a horror movie has depth and a reasonable motivation for his actions. Brice is less noticeable alongside Duplass, but he also does a good job in the role of the victim. His face shows layers of confusion, fear, and anger at his position. Duplass stands out for being a more recognizable name as well as the more stylized character in the film, but both actors playing off of each other is what makes their interactions so enjoyable. What this movie does so well that other shaky-cam, low budget horror films fail to accomplish is balance scares with suspense. The early half of this film is dominated by the familiar jump scares that we see in all horror movies these days. Then, those fade away, but the notion that they could return at any moment remains constant. Suspense rises until the final scenes. And the climactic moment might as well be nothing more than a hush. A slow, creepy hush. With a spine-chilling denouement to boot. I might be a fan of this new genre of mumblecore horror. Creep is a very enjoyable horror movie. Like most shaky-cam films, it begs the question at times of why the person holding the camera would continue to film and frame the action while crazy events are unfolding, but it also remedies that same problem in a pivotal moment of the film. 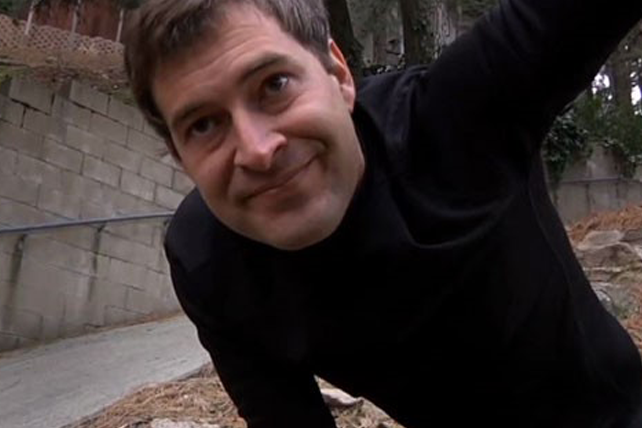 Creep is currently available to stream on Netflix and can be found on Amazon Instant Video here . Have you seen Creep? If so, what did you think? Let me know in the comments!